With students all over the world asking to learn with BrainStation, it was clear to the founders that they needed to unlock their courses to remote learners. BrainStation has graduated thousands of students in design, development, marketing, and product at their New York, Toronto, and Vancouver campuses since 2012. We sat down with Jason Field, Founder & CEO of BrainStation, to learn more about their new Remote Web Development bootcamp that launches Summer 2017. 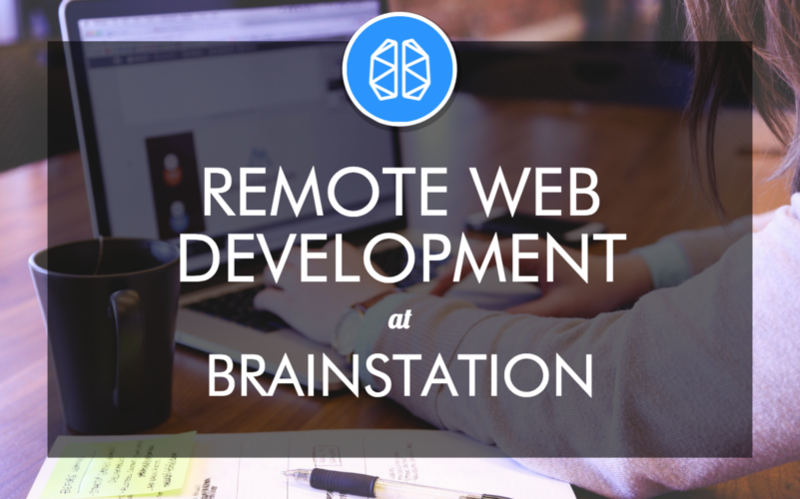 First, tell us about why BrainStation is launching Remote Web Development. From the beginning, BrainStation has aimed to be a global player in digital skills empowerment, and the last five years have really given us the opportunity to interact with students in an in-person environment. We’ve tested what works with students, experimenting with different course options, topics and skill sets, but we've always had the ambition to unlock our courses to the entire world. We talk to students who we aren’t able to reach in our campuses in New York, Vancouver, and Toronto, and our new Remote Web Development bootcamp lets us work with those individuals and empower them. On top of that, our in-person students have asked when we’ll be offering e-learning or online learning because it’s something that they want access to after graduating. A lot of little indicators and validators continuously poked us and said we needed to start teaching online sooner rather than later. Over the past year, our educational product team has worked extremely hard and launched the Full-time Remote Web Development bootcamp. The inaugural summer cohort is kicking off on June 19th. 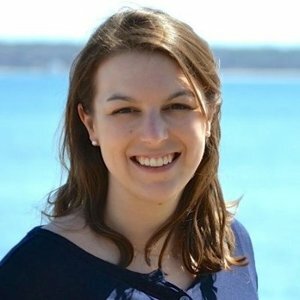 What lessons have you learned from teaching web development in-person that you’ll bring to the remote bootcamp? The connectivity of students in that social learning environment is so important. We talk to potential students all the time that have already done tons of learn-at-your-own-pace online learning, and I think that's fantastic. But they come to BrainStation and say, "Okay, I'm ready to take it to the next level." The accountability you get from learning with others and networking is huge. We also see that the back-and-forth dialogue between fellow students and educators is important. In BrainStation’s Remote Web Development bootcamp, the learning style will be synchronous so that students and Educators are able to talk in real time as they follow a very strict schedule. I also think a hands-on and project-based teaching style is mission critical. Projects are much more meaningful when you have people to actually bounce ideas off of and get feedback, either good or bad. Harsh feedback will refine your skill set to the point where when you head into an interview or when you're in a job as developer, designer or technologist, you're confident and sure of yourself. Are you looking for anything specific in Remote applicants? Will you use the same application process as the in-person Web Development bootcamp? At the moment, it's similar to in-person, which is already pretty rigorous. Students can come from all sorts of different backgrounds. There is a 30 to 40-hour prep course (the material depends on the individual's background), and that prep course is needed to prepare potential students for the admissions assessment and the official admissions interview with our program coordinators. The most successful candidates have ambition; they’re very focused and have a previous life or career that indicates their drive. The initial full-time Remote Web Development bootcamps will be held in the Eastern Standard Time Zone. It's 10am until 6pm every day, Monday to Friday. So it's a total of 400 hours online. It’s intense. Is there something inherent about learning to code that almost lends itself to learning online? I do think that the subject matter is aligned well with online learning. Web development and coding in general is subject matter that fits into the online format a whole lot better than others. I could see some complications introducing a subject like UX Design, but we're definitely going to challenge our own assumption there. Learning to code online can depend on the individual. I’ve met students who don’t need in-person learning; they don't need the accountability or network, and it's actually in their best interest not to go through a full-time immersive bootcamp because they save themselves a lot of money. But the vast majority of people that I’ve interacted with over the past five years want to learn on this roadmap with mentorship support, with all the extra layers. The searching costs of learning on your own are immense and a bootcamp is totally the right fit for most people who are looking to learn something new at an accelerated pace. I think that learning online is the direction that our actual workforce is going as well. If you're working for a progressive technology company, you spend a lot of time meeting people virtually and online. Our full-time remote students will get introduced to skills that they will need to use when working with development teams or technology teams remotely. Have you built out an online learning platform? Tell us about the tools you're using to teach students. We've been working especially hard over the past eight months to build the BrainStation Learning Portal. The learning portal itself contains everything the students need – video conferencing, chat, and all of their material. And once they graduate the bootcamp, everyone has access to the curriculum, even as it evolves. We continually add features to it, iterate and update our content, exercises, labs, etc. This helps our students to continue learning and fine tuning their skills with a supportive community of graduates and get them ready to interview for their desired job in development or launch their own company. Will there be any interaction between in-person students and the remote cohort or are these going to be completely separate? Online and in-person are completely separate. The first cohort will have 24 students, and an Online Campus Team that is designated to those students. The mentors, teaching assistants, and educators are only interacting with the online students. With that being said, we've been talking about adding some interactivity between the in-person Web Development and User Experience Design students in our campuses globally. Skill sharing from one class to the other class further solidifies what they've learned, so we’ve talked about ways to make that happen for the online learners as well. Also, an initial thought came to our minds: "How do we tie this all together and have all of the cohorts globally connecting on projects?" Whether you're on the West Coast or East Coast of North America, or in Europe, etc, you'll be able to connect with that cohort some way or another. Our team is working towards a solution at the moment because the potential is amazing. Will the remote learning experience look the same as the in-person student experience? There's a mix of different content types, lectures, readings, labs, pair programming and it's Monday to Friday from 10am to 6pm for 10 weeks. There will be some hurdles and iterations to be done – how are you preparing yourself to that feedback? Our online Learning Portal is already live and it’s been used in the field by our in-person students. It’s undergone two and a half years of iterations, like chat functionality, content updates, quizzes, all of that already lives there. The only new addition is adding the video conference functionality and putting it all together with a slick UI. We've also been testing out the online Learning Portal internally with different team members from different campuses globally and all is well. With that being said, things are always going to happen as they have in the past, and it's always a very quick fix. BrainStation is part of Konrad Group, a family of businesses that include a leading North American full-service tech consultancy; that means we can respond to things a lot sooner than if we were just focused on education. How will you approach job placement for your students who are now looking for jobs outside of your strongest networks where your campuses exist? We have been building our networks remotely by developing global hiring partners; since day one we knew we would have locations around the world, as well as the Online campus. We offer career resources such as interview prep, resume building tips, networking advice, and suggest events and Meetups specific to our students’ location. We also work with our students to help build their online presence, whether it be through GitHub, LinkedIn, etc. These are really important tools for getting hired in tech, and we want to make sure our students graduate the program effectively showcasing all that they have accomplished to hiring partners and recruiters. How has your employer network reacted to this new online cohort? Are they excited, concerned, or both? We've brought it up with some of our key hiring partners and partners in the ecosystem, and they're excited. When we open up our program with only 24 spots to the entire Eastern Standard Time Zone, I think the caliber of applicants will be really high. Our hiring partners have already seen the quality of the students in our in-person classes, so I think they’re excited. There are companies who are forward-thinking when it comes to working remotely, and we have some students who only want to work remotely. There will be companies who align with that. Read BrainStation reviews on Course Report and be sure to check out the BrainStation website!